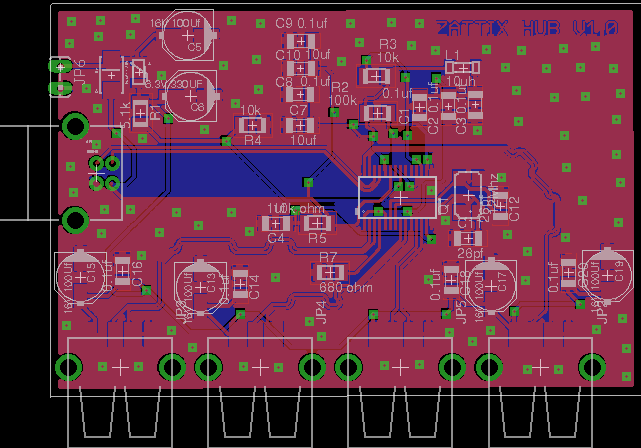 A USB hub that’s also a dev board and an I2C, GPIO, and SPI bridge. A CircuitPython based development board. A bridge between your computer and I2C (via Sparkfun Qwiic connectors), GPIO, and SPI (via its mikroBUS header). A power supply, providing 6 A of 5 V power to downstream devices and 13 mA resolution monitoring (per-port). A USB to TTL Serial adapter. 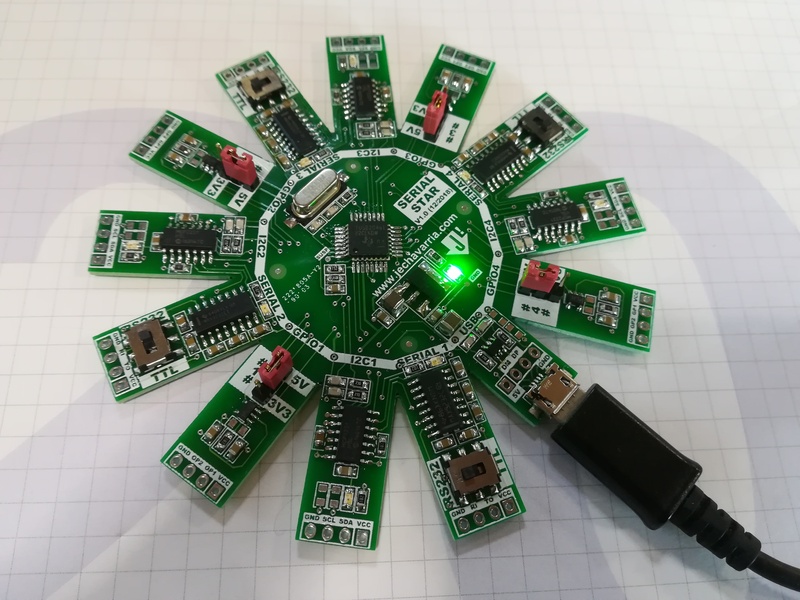 A flexible embedded electronics test and development tool. Functionally flexible. 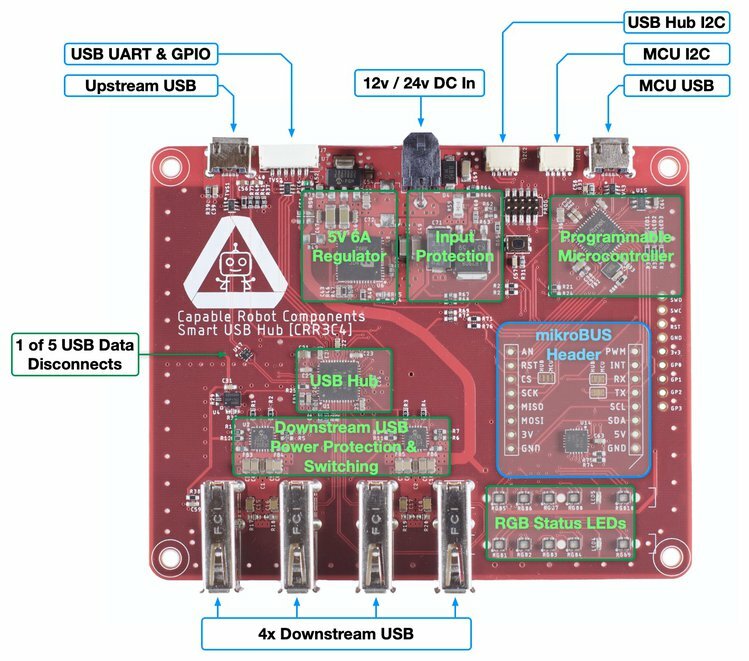 Open source python drivers on the upstream host and Python firmware on the internal MCU allow the behavior of this USB hub to be easily changed to suit your application and environment. The Capable Robot Programmable USB hub is housed in a robust extruded aluminum enclosure. Internally mounted LED light pipes direct status information from 10 RGB LEDs to the front panel for easy observation of hub state. The rear of the enclosure exposes the upstream USB connection and a USB port to re-program and communicate with the internal MCU. Also exposed are two I2C buses (via Sparkfun Qwiic connectors), the Programmable USB hub’s UART, and 2x GPIO. Input power is provided to the hub by a locking Molex Micro-Fit connector. Data lines to each USB port can be disconnected via software commands. This allows errant USB devices to be “unplugged” virtually and re-enumerated. USB digital signals can be boosted to help drive long cables. Onboard regulators support 12 V to 24 V power input and generate 6 A of 5 V power for downstream devices. No power is drawn from the upstream USB port. Input power is protected from over-voltage events and reverse-polarity connection. mikroBUS header to add additional sensors and connectivity. 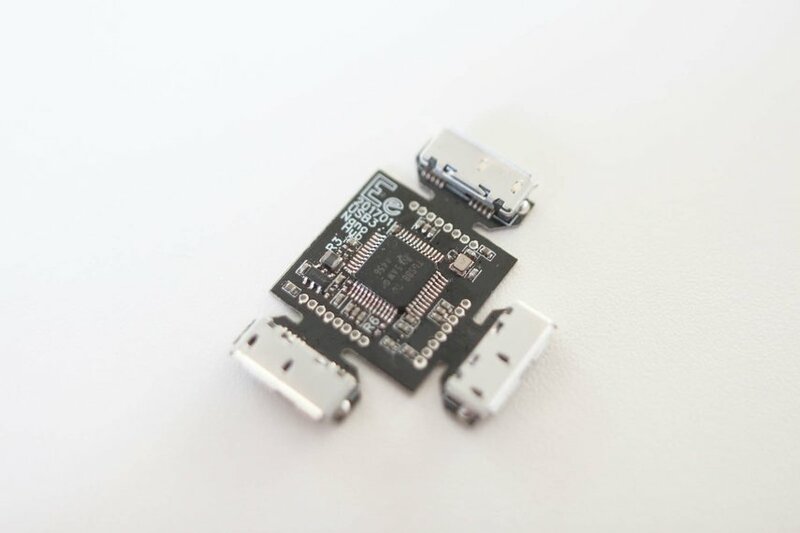 Solder jumpers enable the UART and SPI to connect to either the USB hub IC or the MCU. JST GH connector with UART and 2x GPIO, controlled by the USB hub. 2x Sparkfun Qwiic connectors enable easy attachment of I2C sensors to the USB hub or to the internal MCU. MIT-licensed Python drivers allow you to control and monitor your USB hub the way you want to. Automate testing of embedded USB devices. You can simulate USB unplug events, unexpected loss of USB power, control. Control and monitor the USB hub via the upstream USB port or the MCU USB port. An ATSAMD51 microcontroller configures the USB hub IC and is available for you to reprogram to change the behavior of your hub. 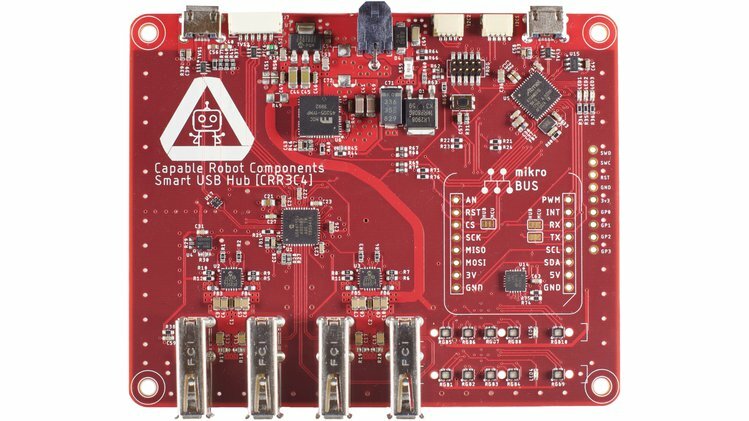 The microcontroller ships with open source CircuitPython firmware which is updatable over the MCU USB connector. No drivers or reflashing hardware is needed – Python firmware shows up as files on a small flash hard drive when connected to your computer and can be immediately edited. Extruded aluminum enclosure with optional rubber bumper end caps and optional flange mounts. OEM version (board only) has corner mounting holes for easy integration into a custom enclosure. IO is protected from ESD strikes (exact specification TBD).